Finally, the lovely blog mentions I promised! So many good ones out there. Feel free to click click click. They are all awesome and worth a position on your blog roll. So chech them out!! Sara McClung at The Babbling Flow of a Fledgling Scribbler for finishing the second draft of her manuscript Shattered (which I'm heavily engaged in reading now!! Soooo good, my friends. So good.) Congratulations on finishing your manuscript, my dear! You've earned yourself this shiny new award. Holy mother of catfish, that took for freaking ever. But it was worth it. I'm really hoping I didn't miss anyone!! But there are so many good blogs out there. These are just a few who I follow rather fervently. I apologize if I awarded you with an award you already have...just know that your that doubly awesome. Feel free to pass on the awards as you see fit. I think they've been passed around enough now that any original rules have surely been lost in limbo. Thank you Angie Kate of Always Write and Princess Courtney at Southern Princess for the One Lovely Blog Award. You are both so kind. I've very much enjoyed your blogs as well! 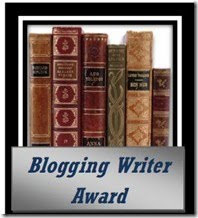 Thank you Elizabeth Spann Craig at Mystery Writing is Murder for creating and passing on the Writing Blogger Award! You are so generous and thoughtful. And your blog is rockin. Finally, thank you Michele Emrath at Southern City Mysteries for bestowing upon me the Writers Know Award for finishing my manuscript. I LOVE an award that honors this accomplishment. So often, I think we tend to think only in terms of publication, but truly, just writing the dang thing is a righteous feat. Phew! Now that you've made it to the bottom, I would like to reward you with a couple of truly amazng songs, both of which are on my playlist for my latest manuscript. Thanks for making it to the end, folks. You're awesome. We lesser scribes just want to bite 'er. She just finished writing her book. Can we haz some peeks? Carol when do we all get to look? Frankie, you're welcome! I luvs your blog!! Holy monkey, that must have taken you forever! And, THANKS!!! Thanks, Carol! I agree with the others - you're a sweetie for taking all the time to do that!! CKHB, haha! Yes, took a century, which is why I still ahven't actually informed anyone their blog was mentioned!! So glad people are just coming across it!! And you're welcome!! Jemi, aw, you're welcome! Your blog is rockin! Thank you for the award & thank you to Simon for the fun poem. 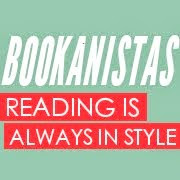 And thank you for the links to all those great blogs! 1st off, Carol, you are a doll! Thank you so much for the awards! I'm so excited! 2nd, OMG Simon those poems were great! They totally made my day! You are way too sweet and wow, first Frankie inspires Simon to say OMG, then I turn him into a full fledged Valley Girl and now he's spouting Limericks to you? WHAT are we doing to him? And what can we make him do next?!?!?!? oh and Simon's comment...I laughed so hard I almost fell off the couch! Bahaha! Simon's poems are awesome. Thanks so much for the award Carolina. I'll be visiting LOTS of blogs now. Thanks so much, Carol!! Simon, that poem was awesome! with poems in a silly vein. to please you gals ever. Just say if I'm being a pain. I"m grateful to be mentioned amongst so many great writers and bloggers. Thank you. :) And congrats to you too. Now what do I have to do to crack the top 10? But not really...poems? Flowers? A customized award? NAME A CHARACTER AFTER YOU??? WAHHHTTTT??? Thanks for the award. You're so sweet! Thank you for thinking of us. You're awesome for passing them all along! You're wonderful :-) I'm so grinning right now. And, coincidentally, I've left a little something for YOU at my blog. You are so wonderful Carol, thanks!!! I LOVE "Breathe Me", absolutely adore that song!!! And thank you for the amazing award! Made me all warm and fuzzy. You rock. Thank you so much for the award! I'm very excited because I've received two today:) Congrats for all of the awards you've received, too. I agree with Simon's "can we haz some peeks." We can haz? Thank you for the award. And I'm looking forward to reading all the blogs that I don't already follow. Man, I don't know how y'all find the time. OK, I suppose I *could* skip my Monday-night "Intervention" and "Hoarders" obsession. I could. You're welcome your welcome you're welcome!!! Wow, such great responses. Gee. I feel special all over again! You guys are fantastic. Andrew, poems are not required, but yes, please do name your first born after me ;) Seriously, though, there's no order to it. You're just numbered for no reason. Shoulda just used bullets. Simon, your poems rock. I think you should abandon writing literary fiction and take up poetry for sure. While you're at it, quit your job in lightning bolts. You're the next Kerouac, for sure. Heehee. Seriously, I'm touched (err...bitten?) and rather flattered. Words cannot express my gratitude for the award you gave to me. Being relatively new to blogging and the entire blogging universe, I suddenly feel so blessed to have had the chance to meet so many wonderful people. And they will probably never truly know how much they all inspire me, everyday. You're incredibly sweet and I love reading your posts. Also, thanks for all the links. I will definitely check them all out! PS - I never win anything. Ever. I feel so special! Sara, For a writer who's desperate to share her work with readers, I'm horribly insecure. Weird, no? But yes, you can haz some peeks...err, soon, yo. You rock. And thanks for the sweetness. Carolina--It's so cool to see my award going out to other blogs! I'm excited to check out some new links. And thanks for passing it back my way, too! Aww, so sweet. Thanks for the shout-out! And for the links to all these awesome peeps! Thanks so much for the blog award. I'll post it in the new year. You're welcome, guys! You're all very deserving. So glad to be following your blogs. WOW! Those typing fingers have to be hurting after passing out all of those awards! Loved the songs too. Actually, Run is one of the songs that has inspired me with my current WIP. Those are the words that my MC would say to his love. It's so heart wrenching! Thanks for sharing them! Rhonda, num num...delicious. Cookies should be their own food group. Thank you!!! I can totaly taste the egg in them. I feel so healthy now. Merry Christmas, sweetness! Kelly, haha! Yes, my hands are aching! I may have to go on disability after this! Hehe. Run is such a beautiful song. I had it on my playlist for my last manuscript, too. It's just one of those inspirational songs that seems to fit so many love stories!! I feel so bonded with you now. Snow Patrol has a way of doing that to people. Leona Lewis did a beautful cover of Run, but I will always prefer Snow Patrol, I think. Happy holidays, Snow Patrol sis! Thank you, Carol! I will post it proudly! And so glad to see Writers Know passed along so soon! Congrats to Sara! Thank you so much for the award! It really means a lot to me. What a fun post. Thank you so much for thinking of me! I know what you mean! when I did my big 'blogwards' post, it took me seriously hours to find all those links and post them in my blog! Whew! You're welcome guys!! You are all deserving! It was hard for me to limit myself, so I sort of went overboard...and I know I missed some...dang. Wow, I feel like a total jerk! Somehow I missed this! Thank you so much for the award! Valerie, no problem!! I may have forgotten to get the word out to you? I can be so lame like that. But I'm glad you saw it! You deserve it! Lynnette, you're welcome! And I'm not surprised you won it already. You have a great blog.